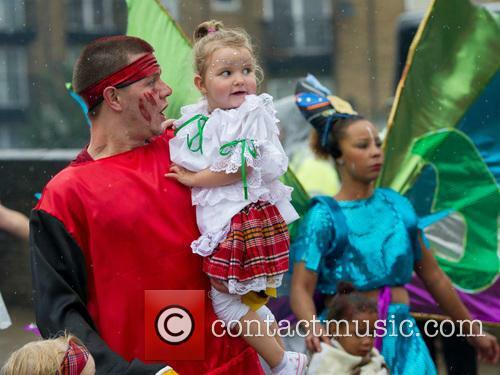 Performers dance through the rain at the Notting Hill Carnival 2015. 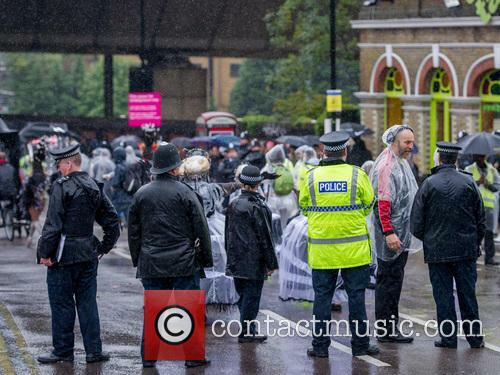 Police enjoy shelter and hot drink before the Notting Hill Carnival 2015. 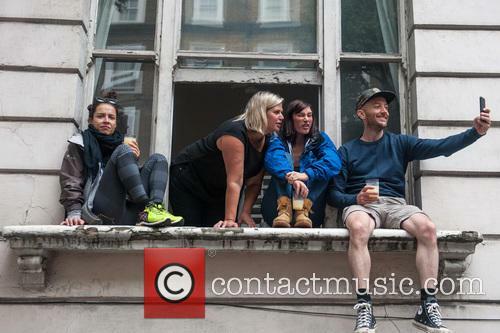 Crowds at the Notting Hill Carnival Parade 2015. 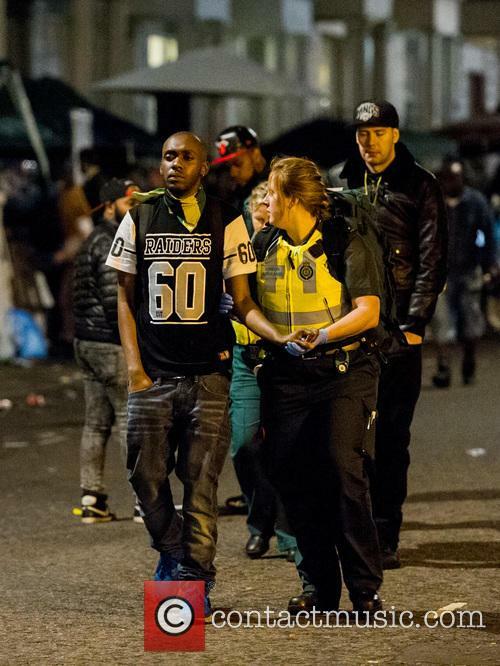 A police officer gets a winding during Notting Hill Carnival 2015. 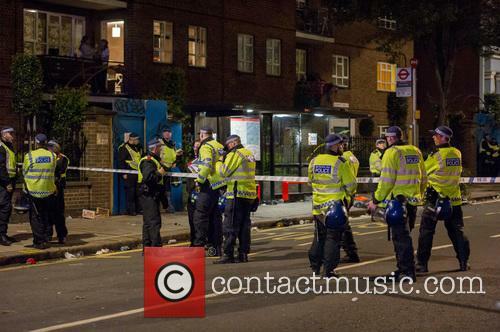 Scene of a stabbing at the Notting Hill Carnival 2015. 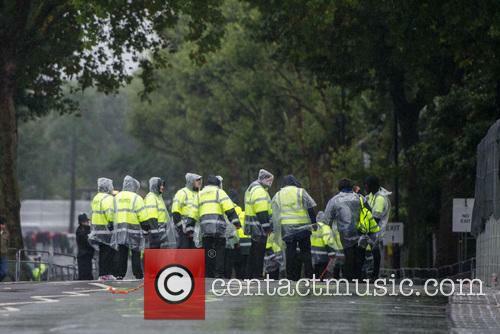 The messy aftermath of the Notting Hill Carnival.